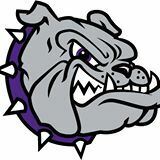 Brownsburg Junior Basketball League is a not-for-profit organization whose primary purpose is to provide an opportunity for Girls and Boys in the community to play Indiana's favorite game in a fun and exciting atmosphere. Brownsburg children from 2nd to 8th grade are eligible to play. The league provides a great opportunity for kids to learn fundamental skills, to be a part of a team, and to have a lot of fun being part of Bulldog Basketball! Don’t miss out - We’d love to see you in the gym!